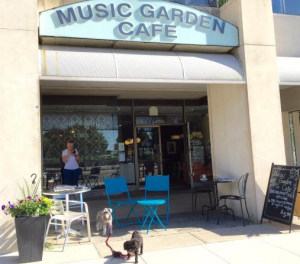 Tucked away on Queens Quay across from the Music Garden is the Music Garden Cafe. The Cafe offers a little peace from the pace of the cyclists and joggers along the waterfront trail. Cozy and comfortable, the Music Garden Cafe offers a great coffee and a place to relax. WiFi bandwidth could be better, dont expect to facetime with anyone soon from here.